University of the Sunshine Coast, Australia has come forward volunteering to help get our pearl industry back on its feet following the effects of the recent natural disasters. It has been confirmed that the pearl industry has suffered a $1 million loss, other small collectors suffered around $100,000 loss and the maximum loss has been faced by the hatchery in Savusavu. AU$150,000 (FJ$240,000) has been funded by the Australian Centre for International Agricultural Research (ACIAR). Pearl farms have been identified where the funds will go. The university is working closely with our Department of Fisheries to try replacing some vital infrastructure required which helps communities and pearl farmers to collect the juvenile pearl oysters. These juvenile pearl oysters would be used later on for pearl production. Professor for Sustainable Tropical Aquaculture at the University, Paul Southgate, yesterday highlighted the impact of a natural disaster on pearl production. “One of the problems is it takes about two years for an oyster to grow to its size where it can be used for pearl production,” he said. Mr Southgate was in Fiji to discuss with the Department of Fisheries on further support for rehabilitation of our pearl industry through provision of infrastructure to maintain supply of oysters. Being specialised in pearl oysters in Biology Culture, Mr Southgate has worked in pearl oyster biology and culture since 1993. “I have worked in Fiji for last 20 years and other countries in the region and pearl farming is important to me because I have seen the potential livelihood benefits,” he said. “In Fiji, community members can be involved in pearl production and pearl handicraft production quite easily and even a small injection of income from those activities can make a big difference at community level. Acting Director for Fisheries, George Madden, said more than 40 groups and pearl farmers would benefit from this project. “This project here will also support the Women’s group/ communities whereby they add value to the shells. They started off in Ba,” he said. “We did an initial assessment of the damage and the most immediate requirements. “What is important is maintaining supply of oysters to the industry because only then can the farmers generate the income required to rebuild the land-based infrastructure. So this project is really about replacing as quickly as we can, starting in a month or two. “And the spec collectors and the infrastructure required collecting the oysters which can then be grown and used for pearl production in two years. Mr Southgate has revealed their studies have indicated around $10.5 million a year is the value of the pearl handicraft centre in Fiji. “Fiji in a matter of short number of years has developed a very good international reputation for the quality of its pearls. “We are working with the Ba Women’s Forum in terms of training to help them develop that. “Most of these items come from South East Asia so they are imported. 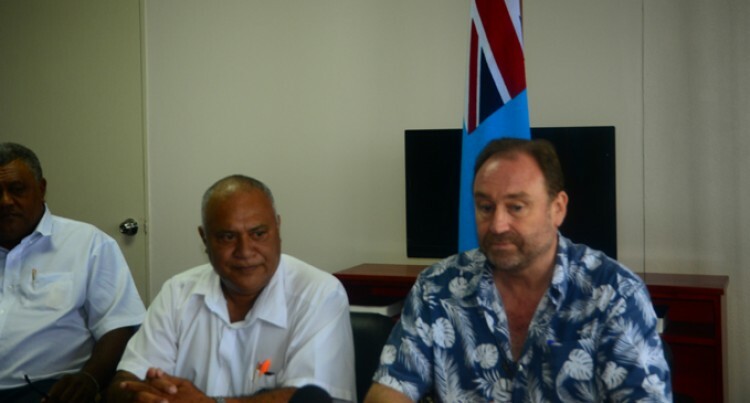 “There is a big opportunity here to replace imports and provide livelihood opportunities in Fiji,” he said.